Quickly inventory the number of teams you serve on now; then as a stretch goal list key teams you have served on for the last five years. Is it a big list? Did you previously and do you now enjoy your team memberships? The answer is probably “It depends.” It’s more fun and rewarding to be a part of a successful and productive team, and there’s no time like the present to decide to improve your team. Teams almost always have more potential than they are utilizing. 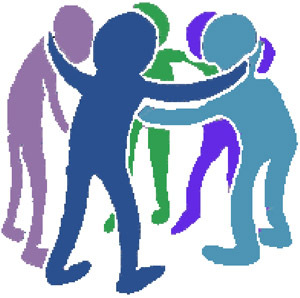 By taking the TESI 2.0 (Team Emotional and Social Intelligence Survey®) team leaders and the team as a whole gain the opportunity to learn in a safe environment about what is really happening in team interactions and can strategically target the steps to take for improvement. The specifics your team gains from the TESI can be strategically focused to guide selection of one or more actions to increase the team skills and productivity. Make this year your team’s year of success by taking these actions. Be purposeful. This is number one. It’s impossible to do a good job if you don’t know what you’re supposed to do! Seems obvious, doesn’t it? Yet many teams don’t have a clearly defined purpose. The purpose statement should help you know how the team is serving the organization and it’s even better if the team has a sense of a more global contribution so the impact is bigger than to the organization. 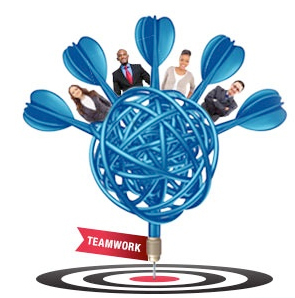 Be your individual best – set an intention for every team member. The emotional intelligence, as well as the operational skills, of each and every team member contributes to the capability of the team as a whole. Contribute emotionally intelligent leadership. It’s a big job to be an emotionally intelligent leader. It calls for managing yourself, and being able to diagnose what is happening for individuals and the team as a whole. Yet diagnosis isn’t enough. The leader needs to coach individuals and the team towards success. Use the ten practices to support leadership strategies, and apply the suggestions made for your team growth in its TESI report. Develop your team identity. Know who the team is individually as well as who they are as a cohesive unit within the organization. Survey your team and the organization to find the perceptions of your team’s identity, and then choose how you want to be known and act. Know what motivates each team member individually and what motivates the team as a whole. Intentionally embrace the diverse motivations within the team. Practice emotional awareness of team members and be aware of the emotional signals you are sending as well as those you receive. Emotionally aware teams are much more productive because they use all the data being transmitted, including non-verbal information. Communicate, communicate, and communicate. There are more ways to communicate than email! Go talk to someone. Get team members to take email breaks. For example on Thursday mornings, commit to get up and talk to co-workers or call if they aren’t nearby. Manage stress. Stress is a gift when it comes in the right dose. You need some stress to help you be fully on your game. Create challenges on the team, make them fun and meaningful. Also take time to honor work/life balance for one another! Optimize conflict. Conflict just is; it isn’t good or bad until the team takes the event at issue one direction or another. To make the most of the opportunities conflict offers, exercise patience with one another, be actively willing to see the matter from someone else’s perspective and bring your flexibility to the table. 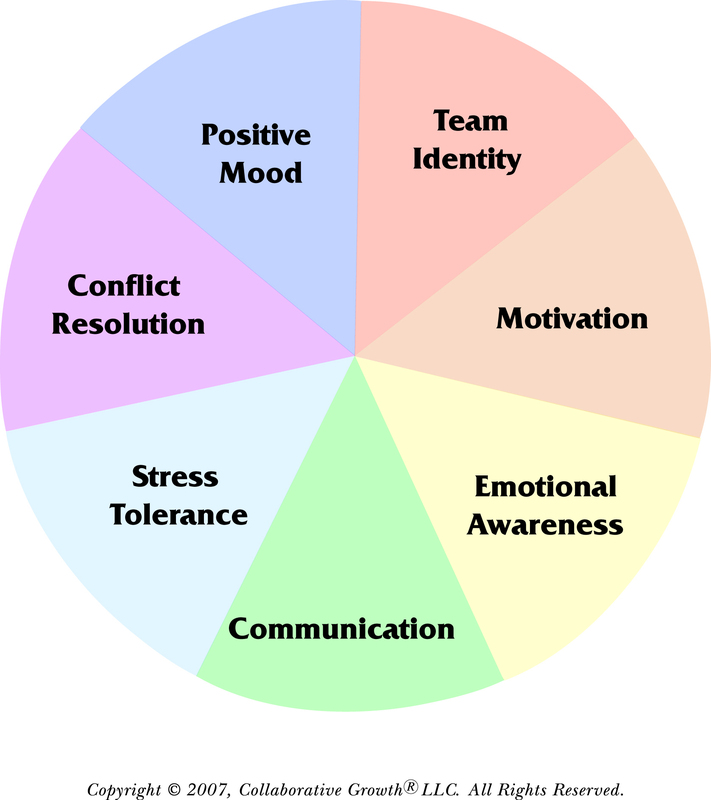 In times of conflict team members can ask themselves if they would rather be happy or be right. This can be a powerful tool for gaining perspective. It doesn’t call for compromising; rather it is important for team members to be an advocate for their perspectives if the situation calls for it, as well as to be willing to listen to others. Then when a decision is made all team members need to get behind it. Intend to trust the team as a whole. Trust is a result as demonstrated in the Collaborative Growth Team Model. http://www.theemotionallyintelligentteam.com/takethetesi.asp. Trust develops as a result of respectful, consistent and active communications and interpersonal relationship.